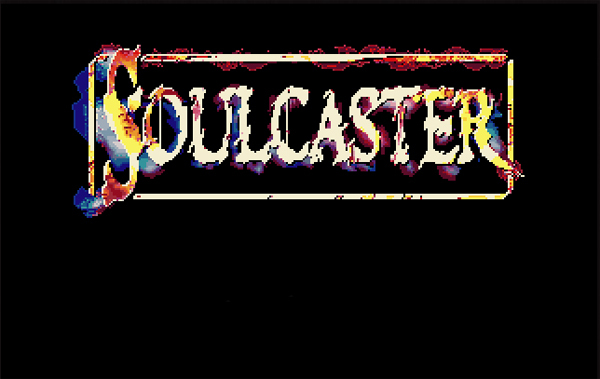 Soulcaster has been available in the Xbox Live Indie Games for quite some time, but I was pleasantly surprised to see that Ian Stocker of MagicalTimeBean studios had recently made it available to the masses via your friendly neighborhood internet browser. Despite already playing it on my Xbox, I felt the need to take another stab at the semi-tower defense puzzler to see whether its transition held up. In short, it did. Soulcaster is all about team work, so you know I’m all over that. As a wizard, you’re given the ability to summon three different warriors (an archer, knight and dude that throws grenades) in order to defeat the legions of monsters who’re trying to impede your progress through the fantasy themed locations you’re tasked with exploring. Each warrior has his own strengths and weaknesses so it’s very important to be strategic in their placement on the battlefield. 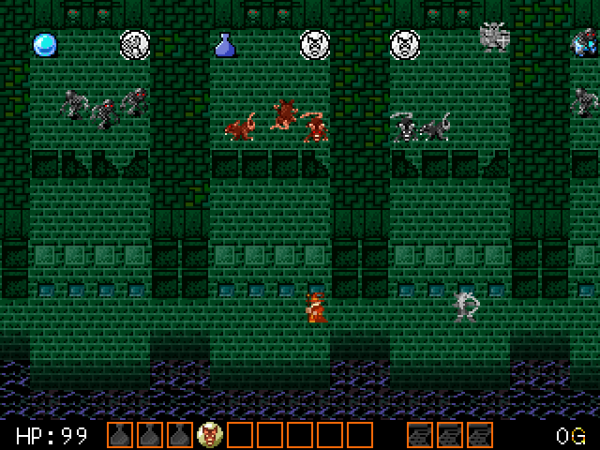 For instance, the knight is a strong melee fighter and can block passageways, but he’s toast if he gets surrounded. The archer and Mr. Grenade can attack enemies from a distance, but are weak at close range and the grenade dude will even explode if he takes too much damage. You can summon these characters in any order or number, so having a bunch of knights or archers set up is possible though this one dimensional approach is not recommended. Instead of getting swarmed at the onset of a stage, there are buttons and other triggers that start the flow of baddies, thus enabling you to set your team up before you get your face chewed off. Though, sometimes one’s plans won’t always come together and some speedy juggling is required. This makes the game feel a bit more like a puzzle game, though one with multiple ways to solve the challenges you face. Get your bros ready Mr. Wizard guy, this isn’t the friendly zoo it appears to be. Along the way you collect money that can be used towards upgrading your squad or buying items (such as health potions or extra orbs for summoning troops), which gives the game an added layer of depth that keeps things interesting. It can be challenging at times, but not in an absurd way since Mr. Stocker has the concept of a difficulty curve down to a science (see Escape Goat for further evidence). If you like smiling, retro graphics and unique approaches to tower defense games, definitely check this game out. If you prefer eating pie and playing the violin then do that instead, I’m not going to stop you.